I don’t know about you, but I can never seem to remember how many cups are in a quart, or a pint. I’ll go to the store knowing that I need 2 cups of heavy cream only to realize when I’m there that the carton doesn’t list ounces. After having had this problem so many times I decided to quickly make this infographic. You do need to know that there are 8 ounces in a cup to use it. 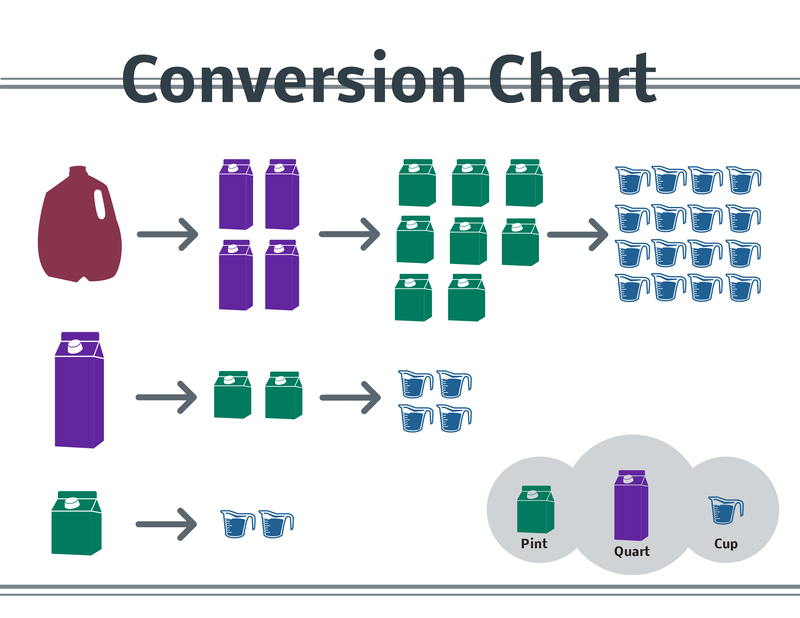 This entry was posted in graphic design and tagged conversion chart, how many cups are in a pint?, how many cups are in a quart?, infographic, liquid conversion, measurment conversion, pint, quart.